Greenville senior first baseman Stefan Neece smashed a pair of home runs and junior second baseman Kyle Hobar went 7-for-9 over the course of Wednesday’s St. Louis Intercollegiate Athletic Conference doubleheader against Eureka, helping the Panthers to a 12-7 win in game one and a 13-6 triumph in game two over the Red Devils at Henry Sand Field.After falling behind 1-0 in the top of the first inning of the opener, Eureka responded with an RBI groundout from junior first baseman Tim Cashdollar (Morton, Ill./Morton H.S.) in the bottom of the frame to force a 1-1 tie. Greenville, however, responded by plating runs in each of the first four innings to race to a 9-2 lead. The Red Devils nearly cut their deficit in half in the bottom of the fifth, plating three runs to trail 9-5. Sophomore Jordan Krone (Minonk, Ill./Fieldcrest H.S.) hit his third sacrifice fly of the year for Eureka’s first run of the inning before sophomore Kyle White (Gilman, Ill./Iroquois West H.S.) drilled a two-run single two batters later to draw the Red Devils within four runs. Junior catcher Alex Hess (Washington, Ill./Washington H.S./Illinois Central) made it 9-7 one inning later when he clobbered a two-run shot, his team-leading 11th home run of the season.Greenville provided some insurance runs in the top of the seventh behind a two-run single from Hobar and another run-scoring single from Neece for a 12-7 lead. Greenville relief pitcher Scott Voyles pitched around a throwing error and a walk to record a scoreless seventh inning and lock up the game one win for the visitors. Freshman Tanner Schreck (Monmouth, Ill./Monmouth-Roseville H.S.) 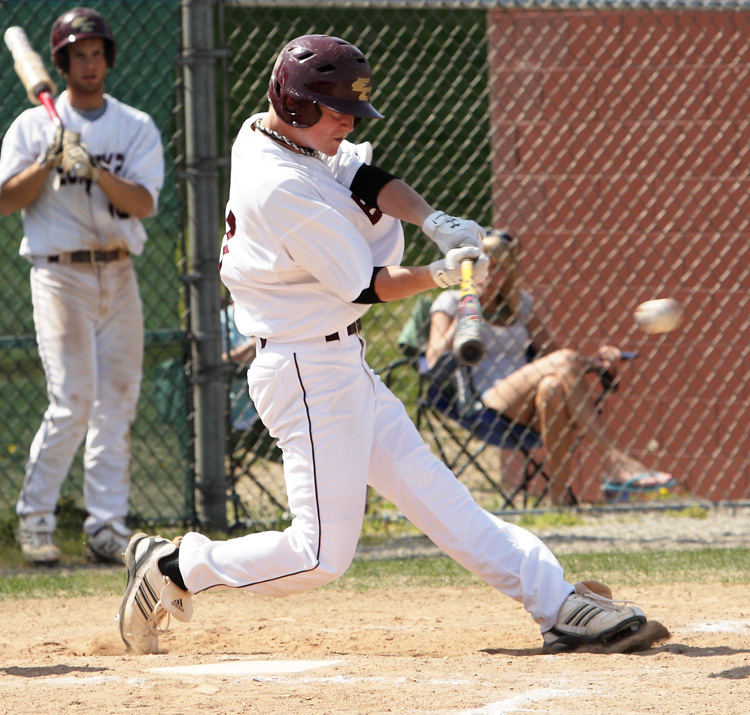 went 3-for-4 with two runs scored to lead the Eureka offense, while Hess, Cashdollar and White added two hits apiece. 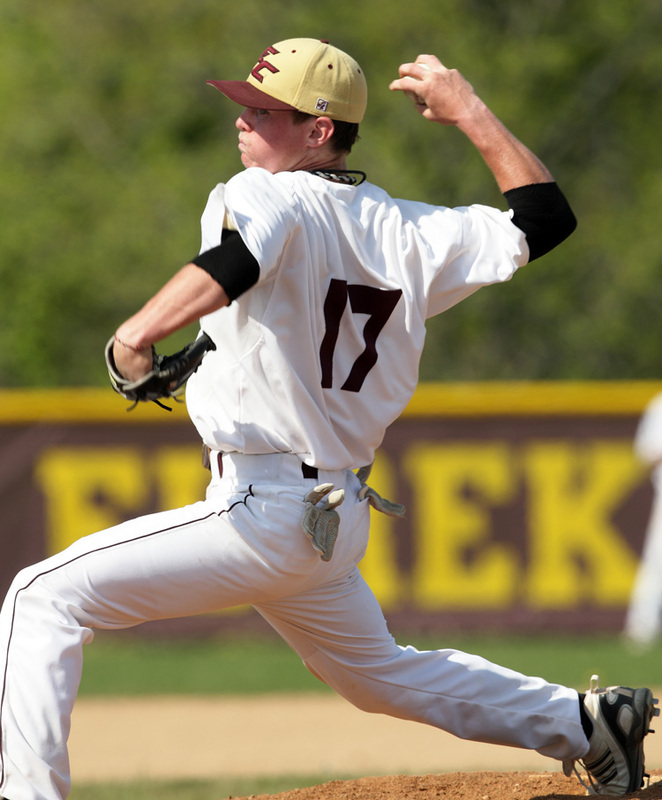 Senior starting pitcher Tyler Glaub (Metamora, Ill./Metamora H.S.) allowed only three earned runs but suffered his first loss of the season. Batting first in the nightcap, Eureka took advantage of some shaky Greenville defense to jump to a 3-0 lead. 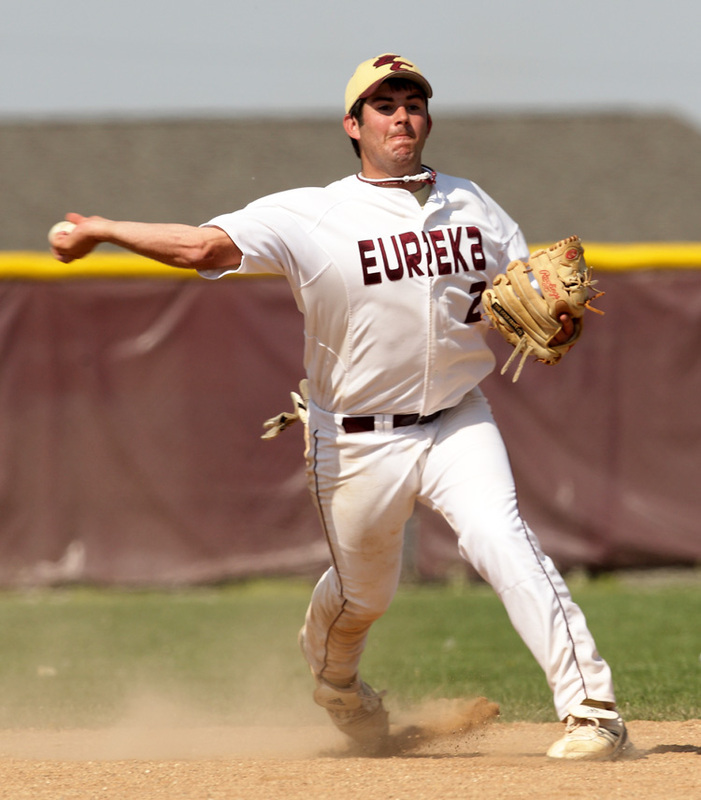 Senior Nick Eeten (Eureka, Ill./Eureka H.S.) smacked an RBI double down the left field line to score Schreck, who led off the inning by reaching on an error. Two batters and another throwing error later, Cashdollar made it 3-0 with a two-run single. Greenville answered with two runs in the bottom of the first, but Eureka pushed its lead to 5-2 with single runs in each of the next two innings. 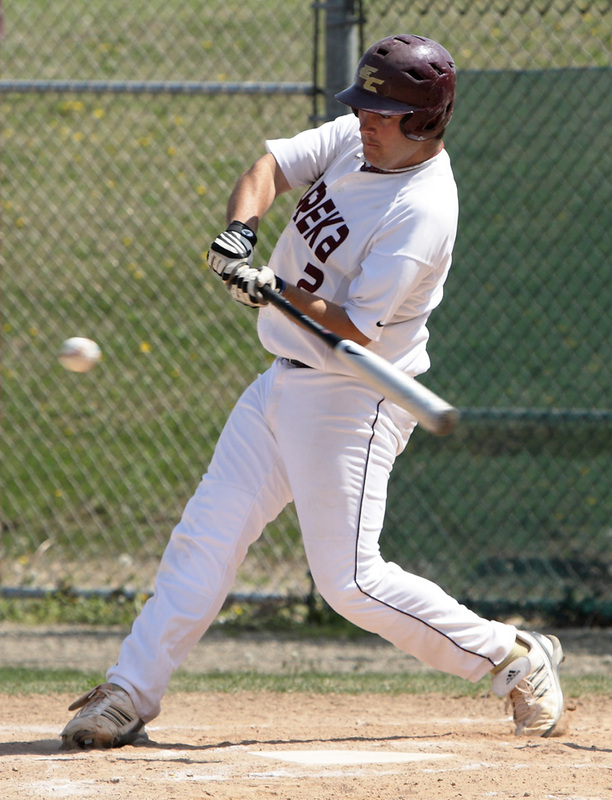 Schreck hit an RBI single in the second, while senior Clay McConkey (Fairview, Ill./Spoon River Valley H.S.) hit a sacrifice fly for Eureka to regain the three-run lead. Greenville tied the game at 5-5 in the bottom of the third. Neece, who entered the week as the Division III leader with a 1.025 slugging percentage, hit his first of two home runs during the game when he smacked a two-run shot to right-center field. The Panthers took the lead for good when Hobar singled home Juan Mondragon for a 6-5 lead in the fourth. 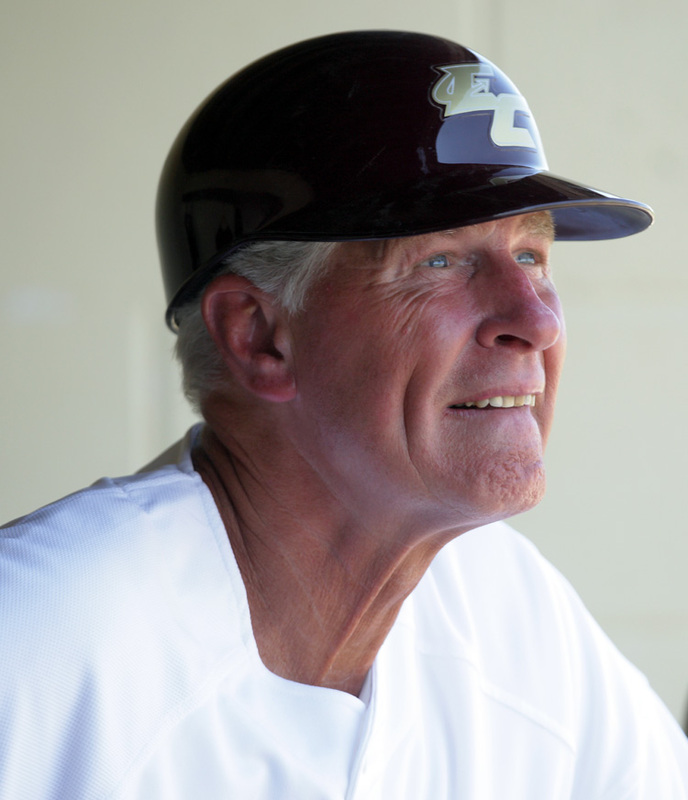 Eeten and Krone collected two hits apiece to pace Eureka in game two. Krone and sophomore Scott Meyer (Taylor Ridge, Ill./Rockridge H.S.) each tripled for Eureka, while sophomore Greg Osman (Macon, Ill./Decatur Eisenhower H.S.) connected on a pinch hit single in the seventh for his first collegiate hit.